Updated in October 2015, the Apple 27-inch iMac with Retina 5K Display, is equipped with a new sixth-generation Skylake processor from Intel. It also has a new Magic Keyboard, Magic Mouse 2 and Magic Trackpad 2 access with Force Touch. 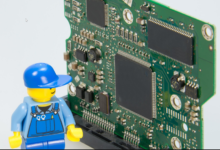 The late-2015 version a slimline display panel with 5,120-by-2,880-pixel resolution. The 5K resolution features a DCI-P3-based color gamut, which provides a 25% larger color space than standard sRGB. It also allows users to display a 4K video image at full size, while still providing an additional space on the screen for the tools and palettes of video-editing software. With these innovations on its 27-inch iMac, Apple appears to be targeting both the professional video and photography markets. Very few rival products from PC manufacturers can provide a comparable graphics workstation for a reasonable price. 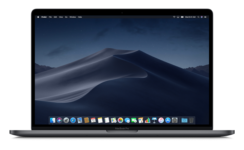 Apple has updated all three of its 27-inch models. 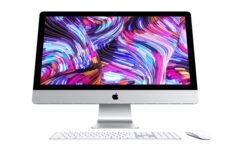 Even its entry-level new iMac with Retina 5K Display configuration includes a 5K display and Intel’s new quad-core Skylake Core i5 processor running at 3.2GHz (3.6GHz with TurboBoost). It boasts 8GB of memory, a 1TB hard drive and a Radeon R9 M380 graphics card. 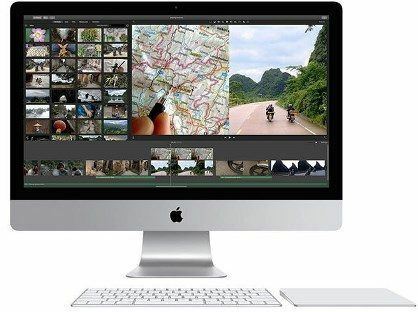 According to experts, the 27-inch iMac with Retina 5K Display also provides very good performance for video editing and other graphics-intensive tasks. Because of the new display, the original stylish 27-inch iMac with 2,560 by 1,440 display has been discontinued. But the current desktop 27-inch iMac with Retina 5K Display will appeal to lots of consumers. Their competitive pricing and outstanding display will make it a tempting option for many creative professionals. 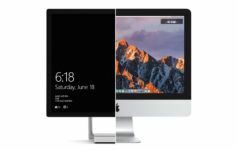 As for the discontinued models, you can always trade in your used iMac online for cash at iGotOffer, which offers the best price online for your used devices. Best place to sell your used Apple iMac online. Free shipping. Top cash guaranteed.